Vancouver, BC – The fastest week in Canadian cycling begins this Friday, July 8th, as BC Superweek gets underway with the Tour de Delta’s MK Delta Lands Criterium ­– the first of eight races over ten days. 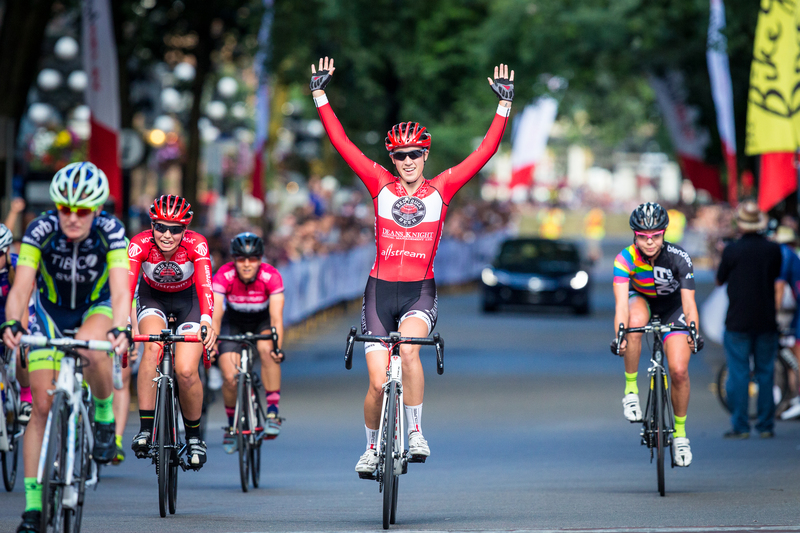 With $125,000 in prize money on the line and some of the top Canadian cyclists and professional American teams registered to participate, the racing figures to be fast-paced and exciting from start to finish. Below is a list of the top riders coming into BC Superweek, though if history has taught us anything, it’s to never count out top local riders. Many of them now on this list are returning pros after catching the eye of team directors at past races. Horner is a marquee rider on the men’s side at BC Superweek. The Bend, Oregon resident is a seven-time participant at the Tour de France and finished ninth overall in 2010. He’s a four-time Vuelta a España participant and was the overall winner in 2013. The 44-year-old has more than 70 career victories, is a four-time USA Cycling National Racing Calendar Champion, and represented the U.S. in the men’s individual road race at the 2012 Summer Olympics in London. Horner is also no stranger to BC Superweek, as he won the Peace Arch News Road Race at the Tour de White Rock in his first visit to the series in 2008. A resident of Abbotsford, this is Routley’s 16th season on the professional cycling circuit and first with Rally Pro Cycling. He finished third at the 2016 Canadian National Road Race Championships after coming fifth in 2013 and second in 2011. Outside of the Canadian Nationals, the 33-year-old’s best performance this year came at the GP Liberty Seguros in Portugal in March, where he was first in Stage 2 and second in the General Classification. Routley made it onto the podium twice at BC Superweek last year, with third place finishes at the Tour de Delta MK Delta Lands Criterium and Global Relay Gastown Grand Prix. Coming off a Canadian National Time Trial title just over a week ago, Roth is no stranger to the podium at BC Superweek. The 32-year-old from Kitchener, Ontario has no fewer than six top ten finishes this year, including a win at the Winston Salem Cycling Classic. He was also first in the General Classification at the Grand Prix de Saguenay last month. Roth won the Global Relay Gastown Grand Prix in 2015 and has more than 22 career UCI podium finishes in the last nine years. He’s gunning for a third straight win this year at the MK Delta Lands criterium to open BC Superweek. A latecomer to the pro cycling scene, Veal, whose nickname is “Real Deal”, only started road racing in 2006 at the age of 29. The Queensville, Ontario resident represented Canada in the Men’s 4km Team Pursuit at the 2015 Toronto Pan-Am Games, winning bronze. On April 10, 2015, Veal set the Canadian “Hour Record” at the Milton Velodrome, covering 47.59 kilometres in 60 minutes. In 2011, the 39-year-old attended the Para Pan-Am Games where he rode tandem as the guide for Daniel Chalifour in visually impaired events and won a gold, a silver, and two bronze medals. BC Superweek is almost a hometown series for the Bellingham, Washington native, who’s made the trip up I-5 for a number of years to ride the streets of the Lower Mainland. Fisher won the White Spot | Delta Road Race in 2012 and 2013, when it became the first ever UCI-sanctioned race in British Columbia. The 26-year-old, who’s in his first year with Canyon Bicycles – Shimano, was also fifth at the Global Relay Gastown Grand Prix last year. In addition to professional road racing, Fisher is active in cyclocross, and finished third at such an event in Surrey back in 2012. The 23-year-old from Calgary has been racing competitively for the past seven years. He has three top ten finishes so far this year, including third in Stage 4 of the Tour de Gila in Silver City, New Mexico in May, earning valuable UCI points in the process. He was first in the U23 Canadian National Championships Individual Time Trial and second in the Road Race in 2014 and was the 2012 Alberta Provincial Road Champion. Dahl made two podium appearances at BC Superweek last year, finishing 2nd at both the UBC Grand Prix and the Giro di Burnaby. Myers started riding a fixed-gear bike at the age of 18 to help him rehab from a pelvis injury and racing didn’t cross his mind until a co-worker convinced him to register for a local criterium, which he won. Myers won eight races in 2015 plus the California Cup, which is a series of seven races in Northern California. He also claimed the 2015 California state championship. The 27-year-old and his Herbalife p/b Marc Pro & Nature’s Bakery team pushed teammate Chris Harland-Dunaway to a fifth place finish at the Peace Arch News Tour de White Rock Road Race last year. Ramsden wowed the crowd of over 20,000 at last year’s Global Relay Gastown Grand Prix when she lapped the field en route to a dominant win and a $12,000 paycheque. One of Canada’s most decorated cyclists and 2012 Canadian National Road Race Champion, the Hay River, Northwest Territories native was also a member of the 2012 Canadian Olympic team at the London Games, competing in the Road Race and Individual Time Trials. In addition to winning Gastown, the 25-year-old was first at the MK Delta Lands Criterium and sixth in the Giro di Burnaby and White Spot | Delta Road Race last year. The 25-year-old from Kingston, Ontario is having a pretty good 2016 so far. She is coming off a Canadian National Road Race title last month, was fifth in the Canadian National Time Trial championships, and won bronze in the women’s individual pursuit at the UCI track cycling world championship in March. Foreman-Mackey, who has a competitive swimming background, was second at last year’s Global Relay Gastown Grand Prix and took bronze in the 3,000-metre individual pursuit at the 2015 track cycling Pan Am Championships in Chile. Cabot, who’s from Vancouver, is the 2015 and 2016 Elite BC Time Trial Champion and the 2016 General Classification winner at the Tour de Bloom near Wenatchee, Washington. She also finished third at the Cheemo Perogies Cycling Classic in Victoria last month. A data analyst by trade and a huge fan of hill climbs, the 28-year-old had a total of nine wins in 2015 and has 26 podium finishes in her career in a variety of disciplines – cyclocross, gravel, hill climbs and criteriums. She won the White Spot | Delta Road Race in 2012. A native of Port Moody, Guloien has been a competitive road cyclist for the past nine years, and riding a bike for more than 12 years. The 34-year-old won the BC Provincial Criterium Championships and was second at the BC Provincial Road Championships last year. She has also raced at the women’s version of the Tour de France, was third at the Giro di Burnaby and eighth at the Global Relay Gastown Grand Prix in 2013, and third at the 2014 Canadian National Road Championships. Guloien has a Bachelor of Science in Kinesiology and an Active Health and Fitness Certificate from Simon Fraser University. Jackson is coming off a sixth place finish at the Canadian Road National Championships last month. A multisport athlete who is also adept in cross-country running, Jackson was the 2015 Canadian National Criterium Champion.The Abbotsford resident had four top ten finishes at BC Superweek last year, including second place at the Tour de White Rock Choices Markets Criterium. She was also third in the Tour de White Rock overall omnium. In March 2014, Jackson raced in the world university cross country championships, helping Canada win a bronze medal in the team competition. Don’t let Pic’s age fool you, the cycling veteran can give riders half her age a run for their money. The 50-year-old is a six time U.S. National Criterium Champion (2002-05, 2007, 2009). Originally planning to be a surgeon, Pic was pre-med at the University of Georgia when she started to win road races, and more than 20 years later, she’s won a lot and is a four time USA Cycling National Racing Calendar Points Champion (2000, 2004-06). The Utah resident had four top ten finishes at BC Superweek in 2015, including fourth at the Global Relay Gastown Grand Prix and the Giro di Burnaby. BC Superweek is Canada’s biggest professional cycling series and features more than $125,000 in prize money available during eight races over ten days. BC Superweek runs from July 8 – 17, and is made up of the Tour de Delta (July 8, 9, 10), Global Relay Gastown Grand Prix (July 13), Giro di Burnaby p/b Appia Development (July 14), PoCo Grand Prix p/b Dominion Lending Centres (July 15), and Steve Nash Fitness World presents the Tour de White Rock (July 16, 17). For more information, visit www.bcsuperweek.ca.